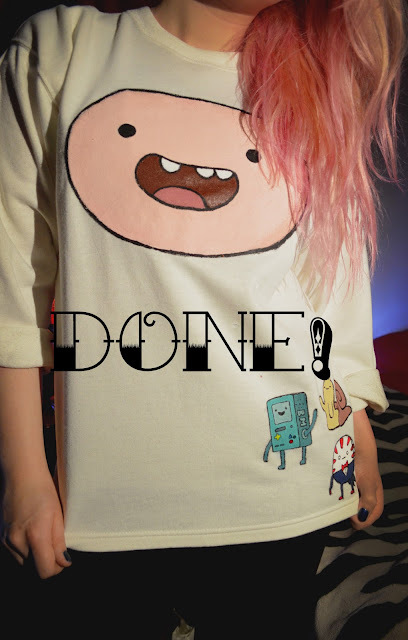 Here is my another take on Adventure Time related DIY. 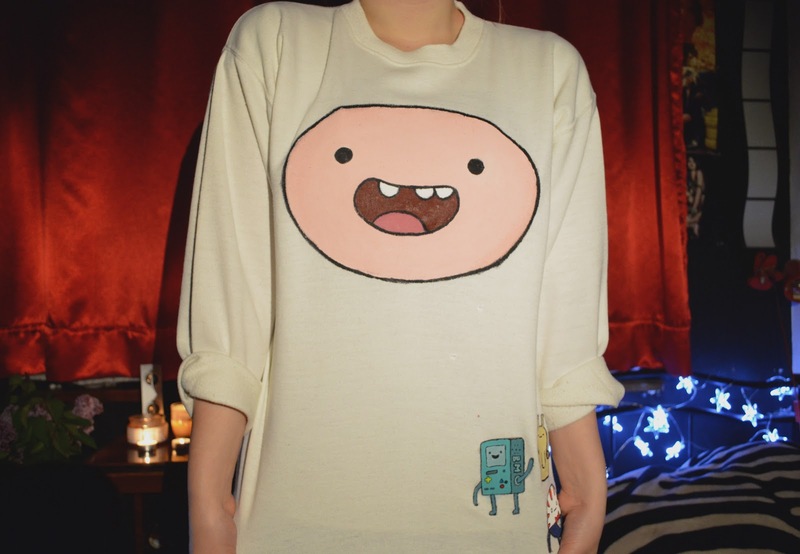 And this is time for... FINN THE HUMAN sweatshirt! Well, he is not alone because couple of his friends decided to join him. 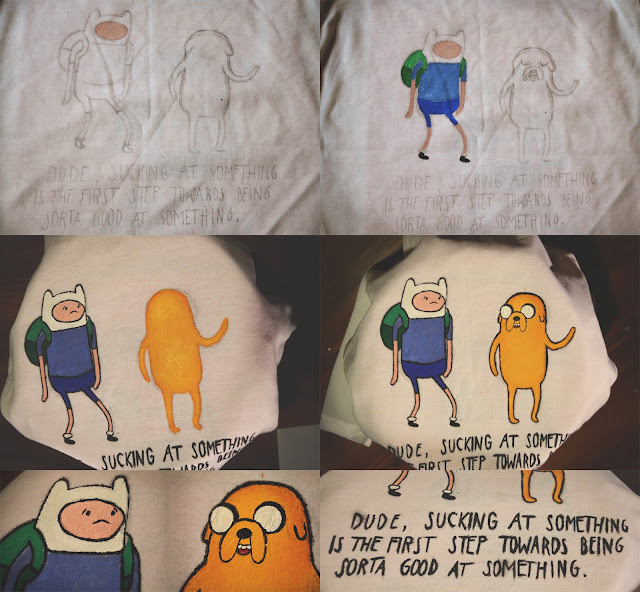 So here we have: JAKE, BMO, THE SNAIL and PEPPERMINT BUTLER on it as well :) All the steps are pretty similar as in my JAKE THE DOG DIY so If you want to read it It click that link: http://sloppyunicorn.blogspot.com/2013/02/diy-jake-dog-sweatshirt-hoodie.html. First, prepare you clothing peace (in my case sweatshirt) by laying it on flat, even surface. In between front and back part of it put some foil (so paint won't transfer onto the back). circles for eyes and then some mouth and teeth (use something you can erase e.g soap, coal or even regular pencil). 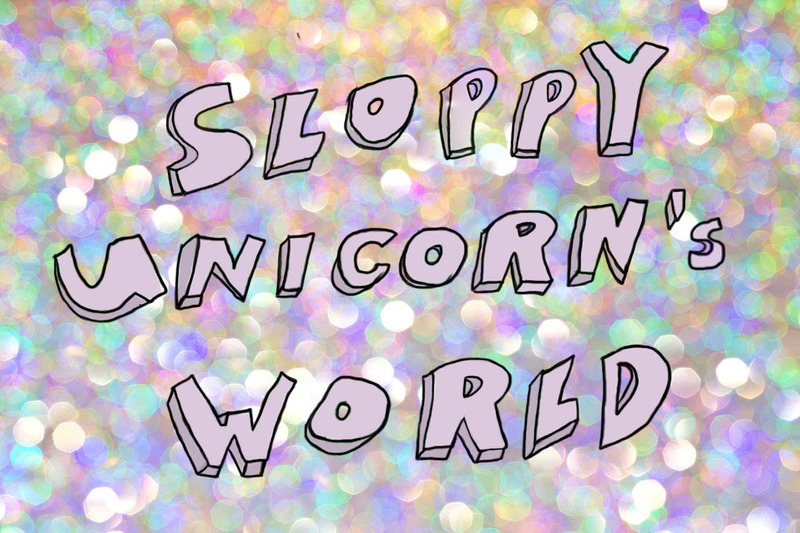 Then just simply add colors (remember you don't have to buy million different paints, mix, mix, mix). Finally add some outlines and you're done with this part! Let it dry perfectly until you go to next step. Do everything as in step one but this time draw some body shapes. You may also need to use very thin brush for outlines and letters, take your time, try to make them as nice as possible. (Sorry for the changing lighting but I was making different parts in day light and other at night). Btw isn't this quote just perfect? 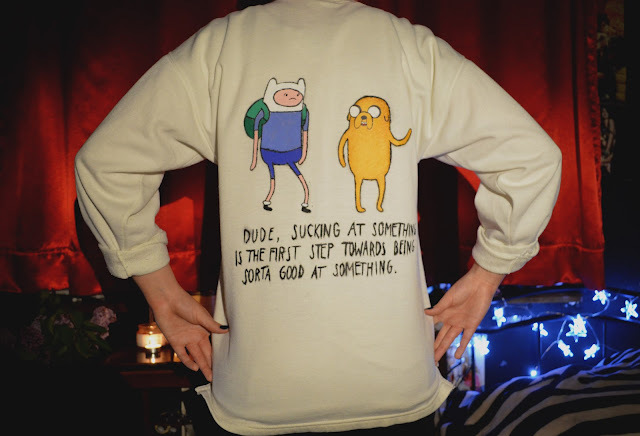 I love it so much, so true! Now draw some badass, waving guys and just follow steps 1 & 2. LOL that face crack me up! AWESOME PAINTING SKILLS!!! 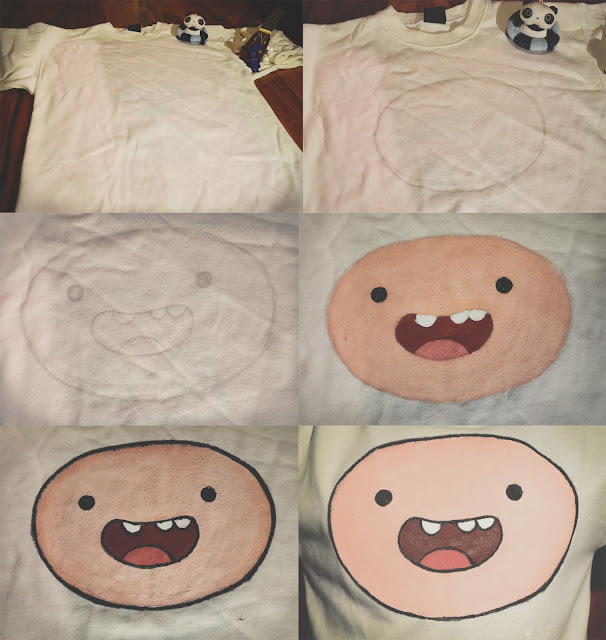 next time, can you make a tutorial on painting a beemo sweater?